Now Offering a FREE First Exam For All New Clients! New to the area or looking for a new vet? At Crossroads Animal Hospital, we’re committed to providing advanced, comprehensive wellness and preventative care for your pet. We offer dental cleanings, digital radiographs, ultrasound, in-house bloodwork, surgical services, laser therapy, routine and preventative care, microchipping, boarding and more! Rest assured that your pet’s health and well-being is always our top priority. We’ve proudly served the people and pets of the Zion Crossroads since 2010. 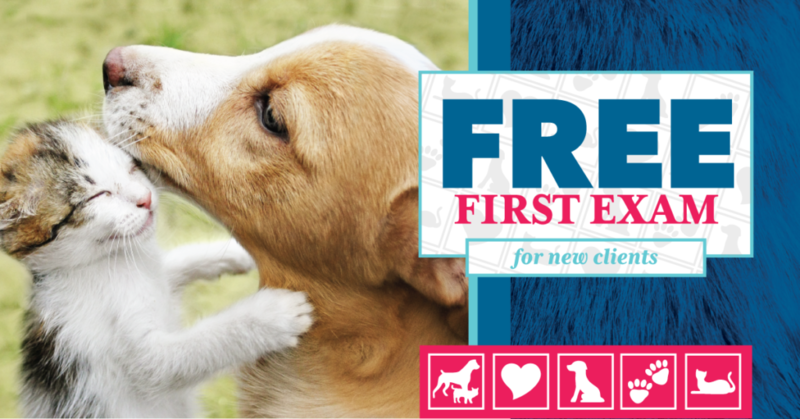 We’d love to meet you and your pet—so we’re offering a FREE first exam for all new clients! Call (540) 288-4683 today, or fill out the simple appointment request form below and a member of the Crossroads Animal Hospital team will contact you directly to schedule your exam. Be sure to mention this offer if calling.